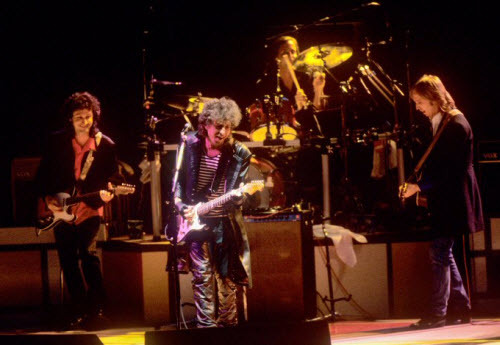 Before diving into the music of the “US Summer Tour – 86”, let’s look at some videos leading up to the tour. Let’s kick off with the Tokyo (backstage Budokan) interview. (It should probably have been included in part 2 of this series, but I didn’t find it till now). …probably I’d do ANY song that I’d ever written, but to put them in a show is a different thing, because it takes time, and there’s not a lotta time when you play for a few hours. 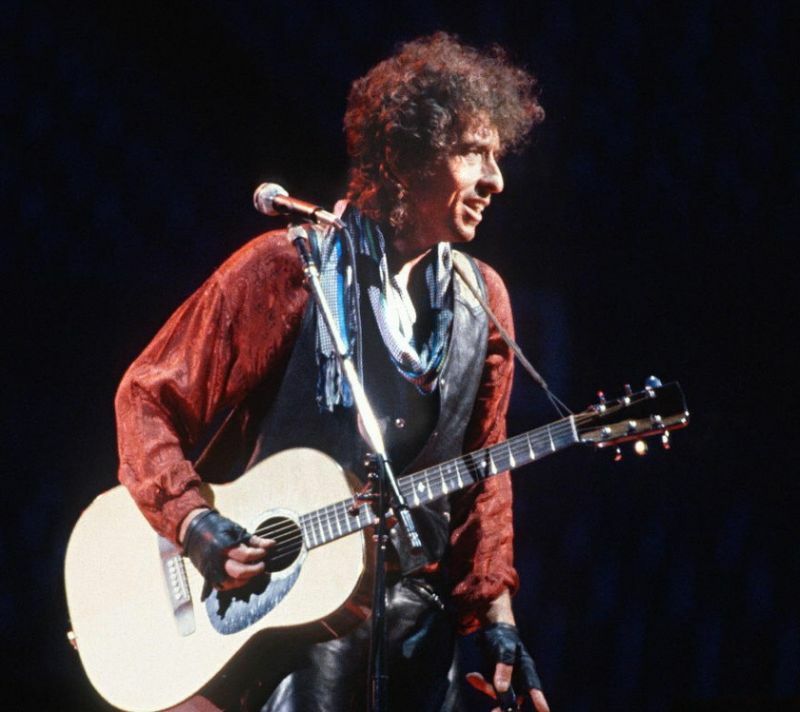 Bob Dylan was given the America Society of Composers, Authors and Publishers Founder’s Award. ..no, no, no … not a role model… I’m just me. Many great concerts on the North-American leg (one show in Canada). 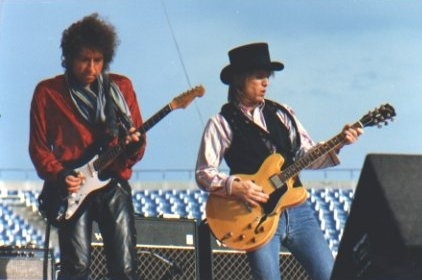 I’m not a 100% certain, but I believe this is from the rehearsals to the “US Summer Tour” (May 1986). Anyway, it’s a wonderful “Lucky Old Sun”! Thanks. 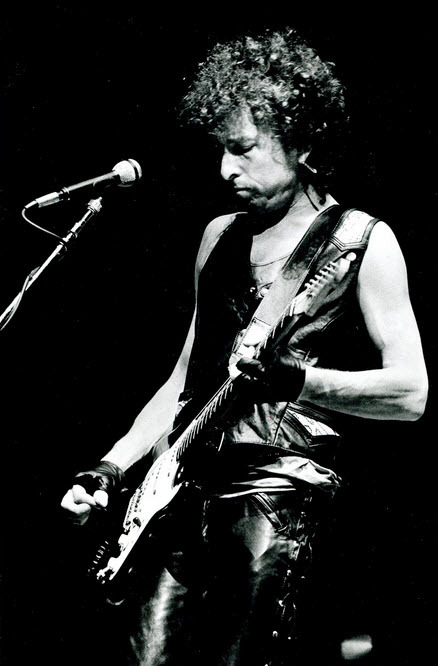 The backstage interview is great, Bob laying out how he plans to play on until he can’t anymore, like all the musicians he admires, it’s not a mystery. Also, on the success of Biograph, “It’s great selling records, but it’s nothing really you can plan for, I think it just happened, so, I don’t know…” It’s a good attitude, his thing is to go out and play and write songs, the rest of it, who knows what’ll happen? Hi, Rick. I was at the Buffalo show. It started in the afternoon with The Grateful Dead. 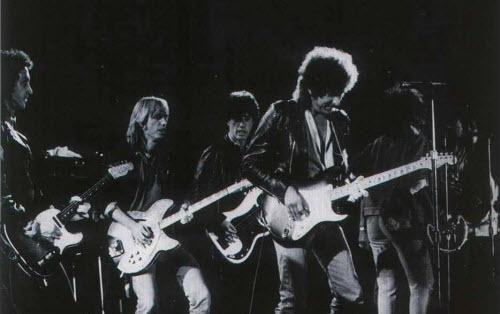 Then Tom Petty and the Heartbreakers and Bob Dylan came out and played together and separately. I believe the show started about 3pm and went till at least 11pm. It was an awesome concert experience. And man it was hot that day. Wonderful material! thank you so much for posting! Thank you for sharing these fantastic performences. Didn’t even know he ever played Band of the Hand live! I saw him on July 1, 1986 in Clarkston, Michigan. A fantastic show. The clips from the Buffalo shows are odd. Why is Dylan performing in broad daylight?